Matt Conaway’s “Captive” sets the musical backdrop for the Shikellamy Marching Braves as they musically and visually portray the anger, anxiety and emotional maelstrom that is depression. Depression - The calm before the “storm” builds to an emotional impact that will pull our thoughts, our feelings and our emotions in a thousand directions. Everything we know and love gets caught up in a turbulent force engulfing us in shades of black and shades of white. Reflection - When you look in the mirror and you cannot even recognize the person staring back at you. Can you ever become that person you once knew again? Aniexty - It comes at you like a massive tidal wave of hopelessness and negativity. Consuming all that is positive in your mind making every day a battle. Taming The Waves - With the help of Therapy and Loved Ones the maelstrom within can be tamed and controlled. Always remember: you are not alone. The mountain in front of you can be conquered…or it can conquer you. Part One: “The Climb.” To climb any mountain, one must start at the base. The Marching Braves will begin their expedition through the mountains by starting at the mountain base with Robert W. Smith’s “To The Summit.” Our journey begins with one step at a time and we must always keep pushing onward. Abilities are tested and bodies are pushed to the limit. This is just the beginning as we climb and track onward to our goal, the summit. The opening alto sax soloist is Lauren Koppen. In the world of music, the majority of musical scales used to create music are constructed of seven different pitches. In the world of nature, a color spectrum produces seven different wavelengths of light creating seven different colors. The Shikellamy Marching Braves will take you through the spectrum of both the musical world and the visual elements of nature on our exploration of the seven elements of each world. Nathan Daughtrey’s piece untitled “Black Rainbow” gives us the musical backdrop for our 2016 production. A special thanks to David Lovrien! We are glad you enjoyed our performance! A special thanks to Larry Daehn! Dvorak's "New World Symphony" done Shikellamy style! The Shikellamy High School Marching Braves are proud to present their 2011 production “Cirʞus.” This season’s program pulls together all of the sounds, colors and excitement of the circus. In addition, we provide glimpse of a circus performer under the Big Top..
Join the loads of fun and excitement as the circus train pulls into town. The pulse pounding tempo of “Carnival Overture,” by Anton Dvorak, lures everyone of all ages to come and see our magical circus experience come to life. Step under the Big Top and enjoy the crazy antics of the clowns and the other circus acts as “Dream Circus,” by Rob Deamer, provides us with an exciting circus atmosphere. Heart racing tempo and music that requires extraordinary skill, provides the audience with an abundance of thrills. Life in the circus, however, isn’t always as fun as it appears. The somber sounds of “Send In The Clowns,” by Stephen Sondheim, explores the loneliness of performing show after show, in one town after another, never having any one place to truly call home. Too much time on the road takes its toll as “Scenes from a Psychotic Circus: Movement 5” by Key Poulan, takes us to the darker side of circus life. Enter the world of instrumental distortion and mayhem. The enthusiasm of performing day after day, night after night, slowly starts to deteriorate, before the momentum explodes beyond imagination. The Shikellamy High School Marching Braves are proud to present their 2010 production “Into the Sky…Sun, Moon, & Stars. This seasons program is a celebration of the illuminated sky thought selections of three leading contemporary wind band composers: Richard Saucedo, Brian Balmages, & Robert W. Smith. The radiant, warm glow of the golden SUN is brought to life through a tapestry of color and motion in Richard Saucedo’s bright and playful “Song and Dance” that all but captures the warmth of the Sun on a early Autumn morning. The silvery MOON, a powerful symbol of love and sorrow is awakened by blue and silver beams of color and the haunting and expressive melody of Brian Balmages unforgettable “Rain,” capturing not only the majesty but the quiet serenity of the moon’s famous glow. "The Primary Colors Of Life"
that bring intensity to any already frenzied musical personality. features trumpet soloist Halie and a trumpet duet by Aimee and Kellen. Roland Barrett’s "Month of the Cold Moon"
and find which color best describes you?! 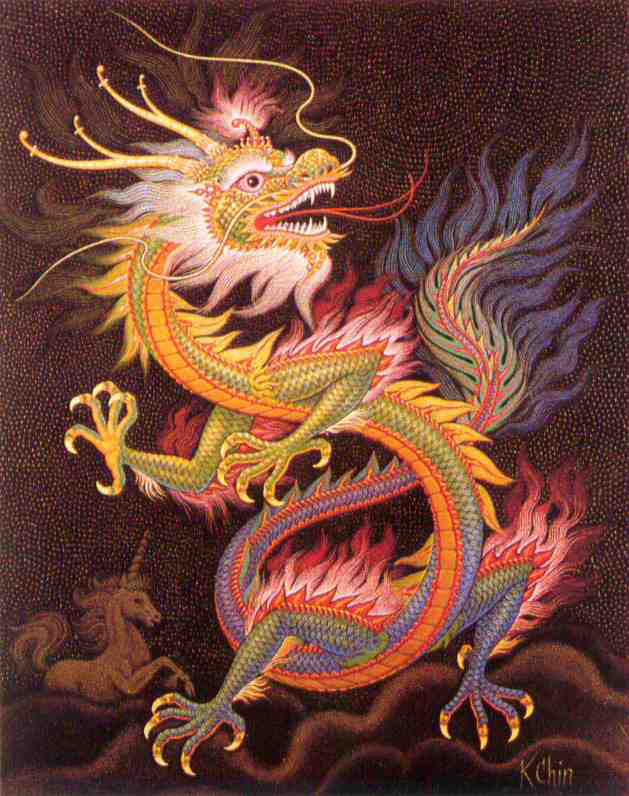 "The Year Of The Dragon!" The Shikellamy Marching Braves are proud to present their 2008 production “The Year of the Dragon: Celebration-Honor-Strength.” This year’s program celebrates the customs, colors, and sounds of the country and people of China. We begin with a glorious sunrise as the city takes on a life of it’s own. As the day progresses, you will experience the people, traffic, street performers and city life that is Manhattan. We will take you to an inner city jazz club where you can experience the blues found in any jazz club throughout Manhattan. After our night out on the town, you will experience a wild taxi ride, taking you home as the sun rises again for another day. "Die Hexe Und Die Heilige"
The Shikellamy Marching Braves continue a tradition of presenting exciting, innovative and challenging programs. They will be performing “The Witch and The Saint” by Steven Reineke. A piece about a set of twins born in Germany around 1588. At that time, twins were considered a bad omen, therefore the twins were separated at birth into different homes. One was sent to a convent, the other stayed with her natural parents. Both girls could predict future events. The sister who lived with the nuns predicted good events, known as the saint, and the sister who lived with her natural parents predicted bad events, hence she was considered a witch. The band portrays this tail performing music that represents each sister, as well as the struggles they went through including the towns people chasing the witch out of town into the forest. Thank you Sam for some great music! "Return To The Centre of The Earth"
"The Music of David Holsinger"
"The Music of John Rutter"
It was a pleasure to meet you Mr. Sandoval!